This is the third in a series of posts reporting on the Wildlife Conservation UAV Challenge fact-finding mission to South Africa. SANParks Section Ranger Rodney Landela executes counter poaching missions using Aurora’s “Skate” UAV. 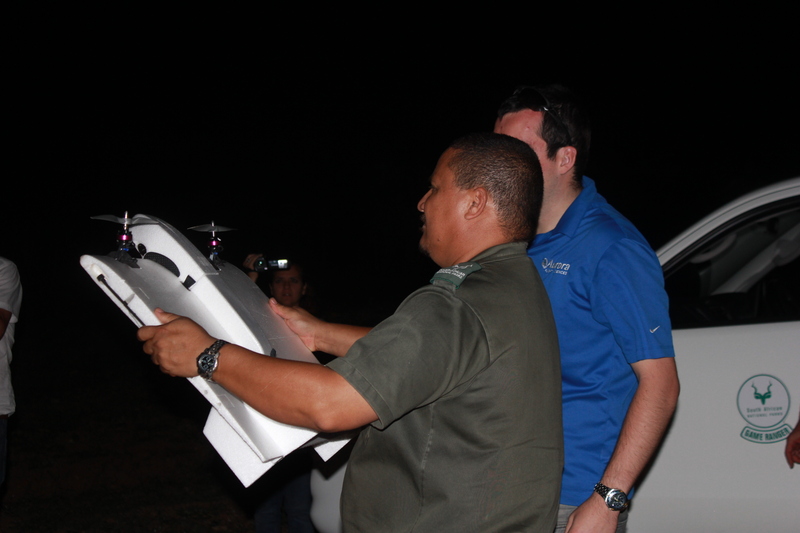 PRETORIUSKOP, SOUTH AFRICA — Our fact finding mission and demo of Aurora Flight Sciences’ small UAV turned operational. 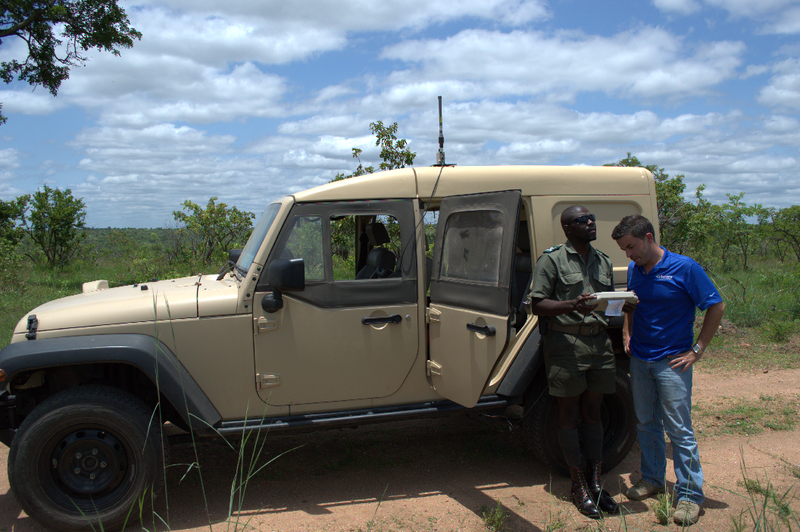 After officials saw the potential for a tactically deployed UAV, we were quickly embedded with rangers to support live counter poaching missions. 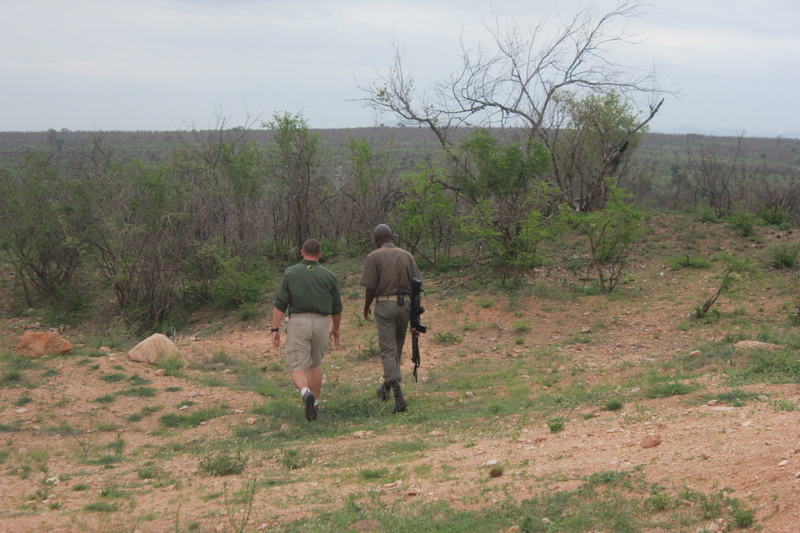 Section Ranger Rodney Landela couldn’t wipe the grin off his face. He had in his hands a live video feed of a hotspot 2 kilometers away. After 15 minutes of training, Ranger Landela was deploying and flying a UAV where he wanted, when he wanted. A river bed that normally took four hours to clear now took 30 minutes. Scott “LB” Williams, Director General of the Reserve Protection Agency, was advising the rangers on tactics. “It didn’t take long for the rangers to figure out how they could use it. They’re creative and adept at coming up with their own ideas, which is what we’re encouraging,” Williams said. The only risk is in overselling it. While not a panacea—UAVs alone will not stop poaching—the right solution can add a capability that will help rangers do their jobs. We also ran night missions using payloads with infrared sensors. 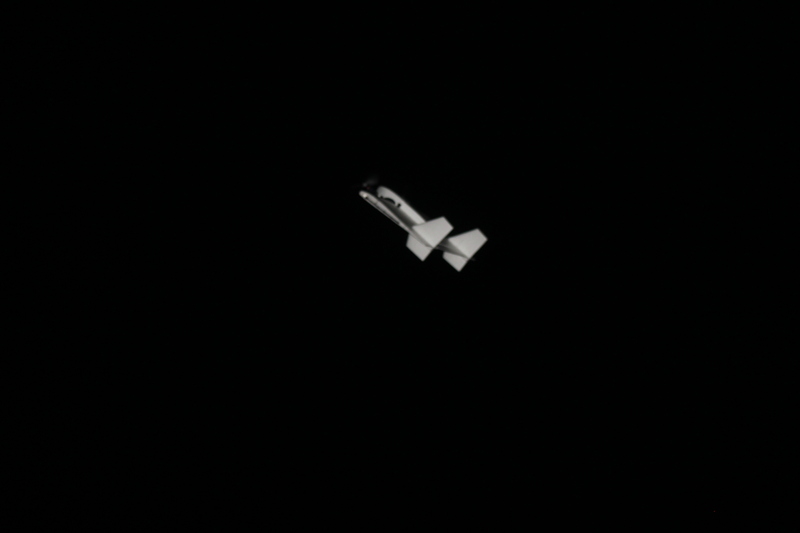 The camera flash happened to catch a cool picture of “Skate” just after launch. I know I promised video in my last post. I’m working hard on making that happen. Once we get the approvals we need we’ll post them in a follow up.